FUTURISTIC high-tech specs have allowed a blind man to ‘read’ for the first time in 20 years. - BlogIT with OLIVIA!!! 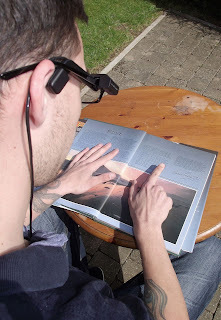 Home / Unlabelled / FUTURISTIC high-tech specs have allowed a blind man to ‘read’ for the first time in 20 years. 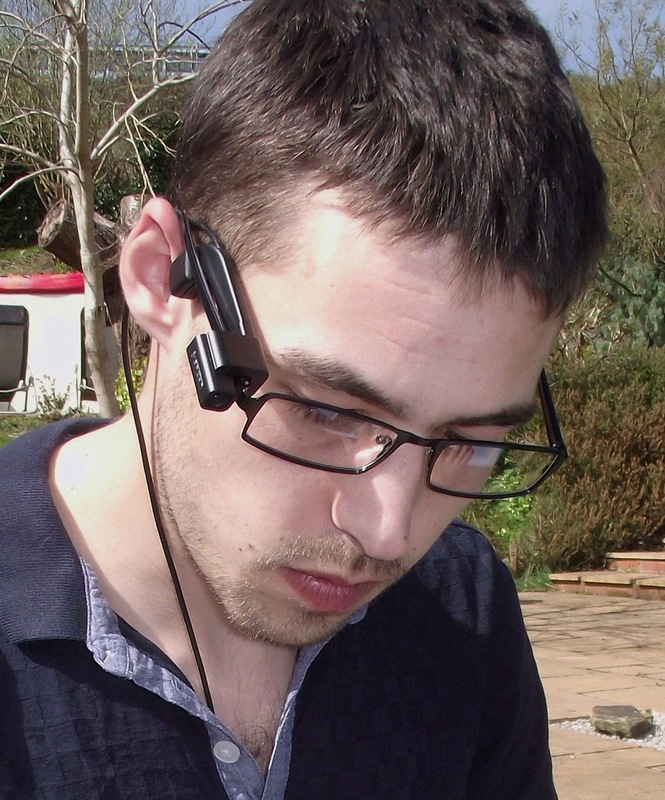 FUTURISTIC high-tech specs have allowed a blind man to ‘read’ for the first time in 20 years. Luke Hines, 27, went blind in one eye and has only three per cent vision in the other after an operation to remove a brain tumour in 1997. He has become one of the first people in Britain to trial a pair of new state-of-the-art glasses which even lets him recognise faces. 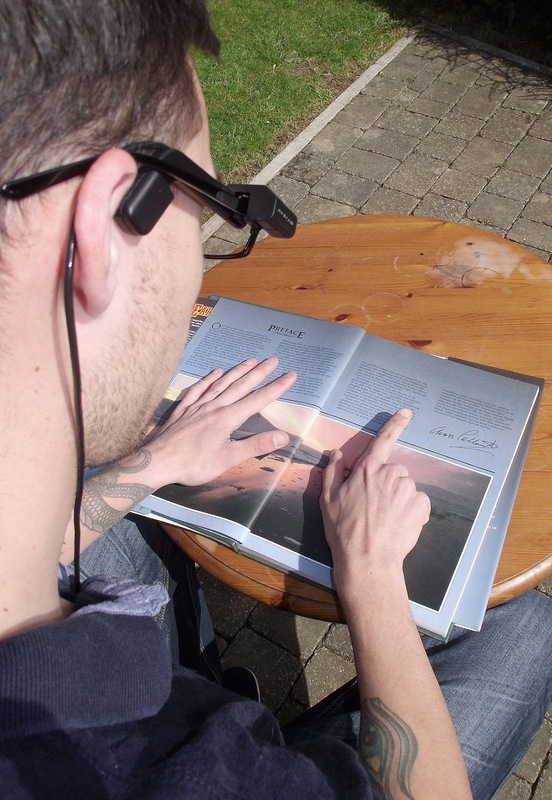 The OrCam dictates text, describes objects and even recognises people for the blind. 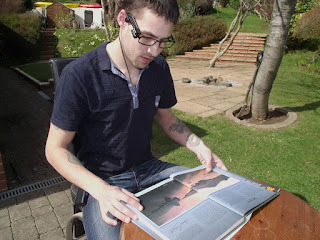 Luke, from Ilfracombe, Devon, said: “Something as simple as going to Tesco I used to hate doing because I would just go, get the same things every time and get out of there. "Now I can spend hours up there just trying to read everything. It's really nice being able to do it without having to rely on someone else." The glasses are fitted with a smart camera which recognises objects and faces and speaks to the wearer through an earpiece. Luke hopes to go to college and says he could realise his dream of becoming a gardener. Mum Jane Hinen said: "It's just such a delight because if it can give Luke a quality of life that we have got and he if can go to college - it would just be overwhelming." Luke has found life a trial because of his handicap. He was unable to attend school and couldn’t find a job.But he began trialling OrCam a few weeks ago after his parents contacted the manufacturers.